1. Go to sitemap generator http://ctrlq.org/blogger/. 2. Write the full address of your blog. 3. 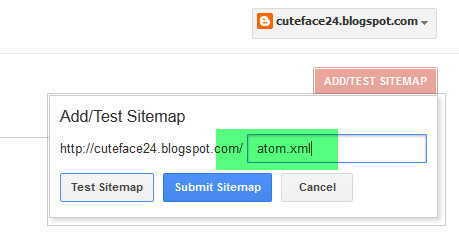 Click on Create Sitemap. 6. Paste the clipboard text here and save your changes. 1. Go to Google Webmaster Tools (If you dont have a webmaster account, create one now). 2. Select your site. 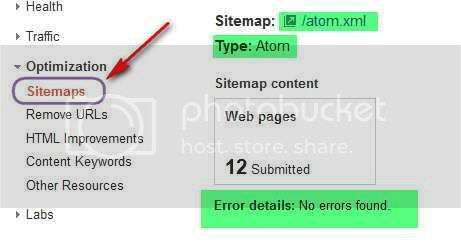 Then Navigate to Optimization> Sitemap. 3. Click on At the right upper corner Add/Test Sitemap. 5. Click on Test Sitemap, A test result will appear. See the result. 6. Your sitemap has submitted, waiting for indexing.